Today’s customers are a whole new breed. In a world where smart, mobile technology has become the norm, tech-savvy customers have come to expect highly personalised experiences from brands, and see no shame in selling their loyalty to the highest bidder. Technology may have upped the ante when it comes to competing for customer loyalty, but neuromarketing research shows that some of the best techniques to make customers' brains click may be simpler than we think. Read on to discover how you too can create that lightbulb moment between brand and customer. Cadbury created a personalised flavour-matching Facebook powered vending machine, to choose which flavour best resonates with your personality. Why do we all crave personalised experiences? The answer, according to a study conducted by the University of Texas, is twofold: because we desire to have more control over what we see and, because personalised experiences help to reduce the feeling of information overload and the paralysing paradox of choice. For example, if a marketing message speaks to your unique preferences and tastes, you feel like you’re more in control of the two-way conversation between yourself and the brand. Because the personalised message is tailored, customers perceive the information to be more relevant to their personal needs. Cadbury capitalised on this when they unveiled the world’s very first flavour-matching vending machine, powered by big data algorithms provided by Facebook. 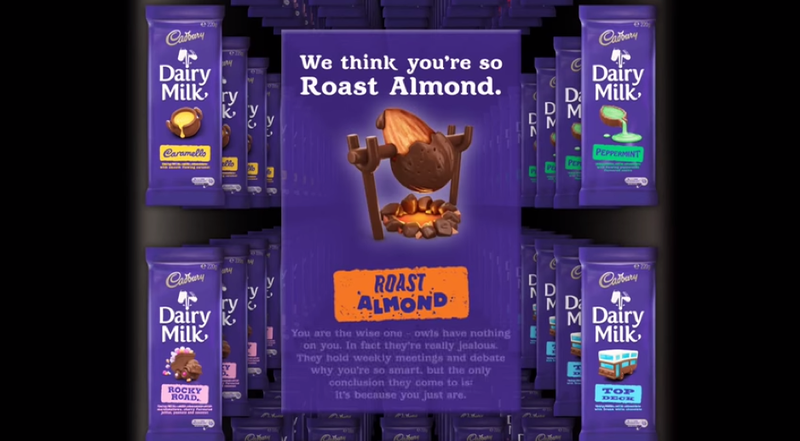 Effectively “Sparking a flavour conversation”, Cadbury worked together with Red Agency, an Australian PR agency, to build the Joy Generator. The Flavour Matcher App built into the machine harnessed Facebook users’ likes and interests, from music artists and designer labels to charities and movie preferences. They then used this information to map against Cadbury Dairy Milk flavour profiles to create a uniquely generated flavour match. Rachel White, Principle at Red Agency, said, “This social experiment was designed to spread more joy across the nation, providing a new take on the Cadbury conversation around flavour.”And it did just that. With over 3.3 million ad impressions and an additional 10,000 Facebook and Twitter followers in the space of a few hours, it just goes to show that a little personalisation can go a long way. John Lewis heart-warming ode to Elton John’s career encourages people to think about the importance of finding that perfect Christmas gift. A recent study into the Institution of Practioners in Advertising’s (IPA) data bank, which contains 1,400 case studies of successful advertising campaigns, discovered that campaigns with purely emotional content performed twice as well as those with strictly rational content. This isn’t surprising, considering research has shown that we feel first and think second, processing emotional stimuli in one fifth of the time it takes our cognitive brain to assimilate the same input. When it comes to emotional stimuli that makes us happy, our left pre-frontal lobe lights up and enters what can only be described as a blissful state. One action that comes out of being exposed to positive emotional stimuli is our tendency to share the information. Professor of Marketing at the University of Pennsylvania’s Wharton School and author of Contagious: Why Things Catch On, researched over 7,000 articles in The New York Times to discover that those that were the most shared and went viral on social media, where articles that had positive connotations and anecdotes. In the run up to Christmas, high-end department store, John Lewis always delivers when it comes to heart-warming, happy-induced festive adverts – and this year was no different. Communications Agency, adam&eveDDB, focused on creating a long-form enchanting tale surrounding one of the UK’s most-treasured musical icons, Elton John. Telling the story of his astounding career in this 140 second heart felt tribute is a touching reminder to the importance of giving the perfect present to your loved ones. What’s in a name? 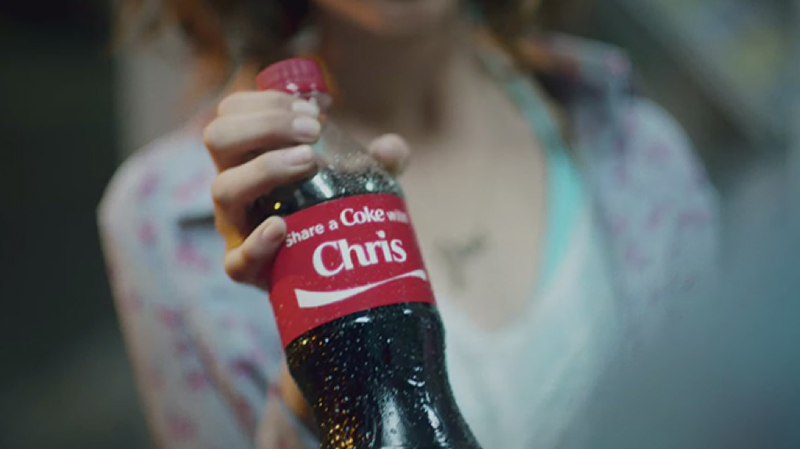 Coca-Cola take personalisation to a whole new level to delight a nation. Let’s face it, everyone loves the sound of their own name. But why? Science tells us that hearing our own name, as opposed to other names triggers an activation in the middle frontal cortex of the brain, that’s associated with social behaviour and activates the superior temporal cortex linked with long-term memory. In simple terms hearing or seeing your name in content, makes your brain focus on that bit of information while simultaneously ignoring other non-relevant information. Dale Carnegie, author of How to Win Friends and Influence People, claims that, “a person’s name, to that person, is the sweetest and most important sound in any language.” And Coca-Cola agrees. One of their most successful marketing campaigns of all time stemmed from the simple idea of adding customers’ names to their products. Lucie Austin, Marketing Director of Coca Cola in the South Pacific – and one of the original brand executives in Australia to launch the initial campaign in 2011 – said, "We gave consumers an opportunity to express themselves through a bottle of Coke, and to share the experience with someone else… The campaign capitalised on the global trend of self-expression and sharing, but in an emotional way… “Share a Coke" found the sweet spot by making consumers famous through the most iconic brand in the world." A few weeks after the campaign launched in Australia, more than 500,000 photos were shared using the #shareacoke hashtag. By September 2014, customers had created and shared more than 6 million virtual coke bottles with an additional 25 million Facebook followers as a direct result from the campaign. According to California-basedbranding and creative agency, Incitrio, “Coke banked on the idea that people find personalisation downright irresistible.” And it paid off. 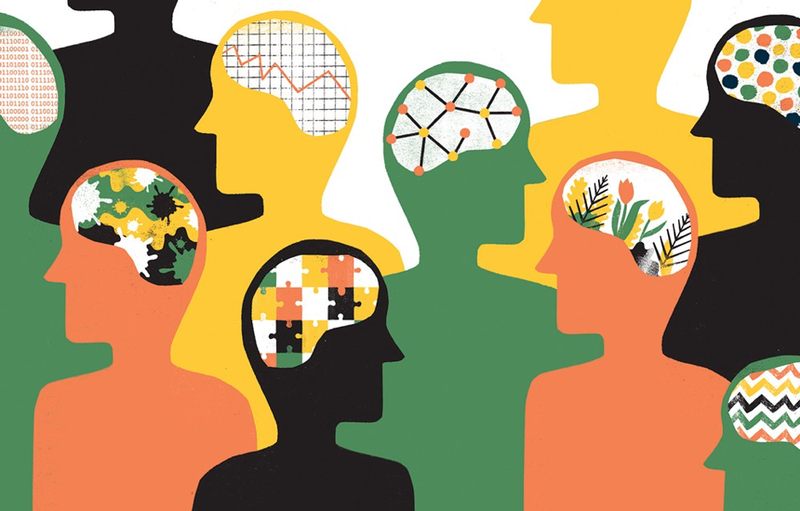 Despite recent technological advances in in big data analytics and AI, it seems the most effective marketing campaigns are those that create emotional connections with their audiences. Combining emotionally compelling content with the latest scientific findings, marketers are finding more effective ways to reach out to customers – and bring them back again and again.